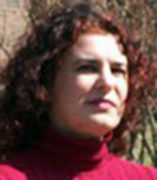 Pamela Popielarz studies organizations and social networks. Her research centers on studying organizations as organizations -- not just what they aim or claim to do, but their structures and practices, how they are shaped by their environments, and how they in turn affect individuals, institutions and patterns of inequality. She focuses largely on voluntary associations. Her current work uses historical data and qualitative methods to study the relationship between nineteenth-century fraternal orders (e.g., Freemasons, Knights of Pythias) and the developing U.S. business economy. This project has received support from the American Sociological Association’s Fund for the Advancement of the Disciplineand UIC’s LAS Dean’s Award for Faculty Research in the Humanities and Office of Social Science Research. Preliminary results from the project were presented at the meetings of the American Sociological Association, the European Group for Organizational Analysis, and the Social Science History Association. Another current project with graduate student Tünde Cserpes uses contemporary survey data and quantitative methods to analyze the social networks and voluntary organization memberships of immigrants and non-immigrants in suburban Chicago. The data for this project were collected as part of the 2010 Chicago Area Studies project, which was funded by the National Science Foundation. Popielarz’s previous work, using survey data and quantitative methods, focused on explaining how gender and educational segregation in voluntary associations is shaped by social network connections between individuals and ecological competition between organizations. It was supported by the National Science Foundation and published in the American Sociological Review, American Journal of Sociology, Annual Review of Sociology, Gender & Society and Research in the Sociology of Organizations. Popielarz has chaired or served on several dozen Master’s and Ph.D. committees in sociology and other departments. She was elected to the UIC Senate and the Graduate College’s Executive Committee and Awards Committee. In the Department of Sociology, she served as Associate Head & Director of Undergraduate Studies, and Director of Graduate Studies. She also coordinated the Ph.D. concentration in Work, Organizations & the Economy, and chaired/served on various faculty recruitment committees. She is a former Associate Editor of the American Journal of Sociology.